When was the last time a week passed without news breaking of a major brewery taking a significant stake or complete ownership of a craft brewer, either here or overseas? As the tectonic plates of the global beer industry continue to shift as never before, such moves happen with growing frequency. So are we reaching a crescendo or still in the early stages of a major realignment? Asahi's purchase of Mountain Goat last week was the most recent example in Australia, sending shockwaves through the industry in a manner that Asahi's prior purchase of Cricketers Arms did not and, possibly, to an even greater extent than the Lion (Kirin) purchase of Little World Beverages (Little Creatures / White Rabbit). Already, many in the beer world are surveying the rest of the industry and putting forward their own particular theories on who will be snapped up next. At the same time, major players outside the brewing world are throwing their hats into the ring. Woolworths has been leading the way here. Not only is Dan Murphy's the chain that sells more craft beer to more Australians but they have involvement in various brands playing in the craft beer world – whatever "craft beer" actually means these days. Woolworths has a 25 percent stake in Gage Roads while also putting out the Sail & Anchor range and John Boston beers via its Pinnacle Drinks brand. Coles has its own too, most notably Steamrail, but also a couple of others we didn't even know existed until shopping around for a blind tasting that will form part two of this two-part feature tomorrow. And then there's the partnership between Coca Cola Amatil (CCA) and Casella, the winemaker behind brands such as Yellow Tail. 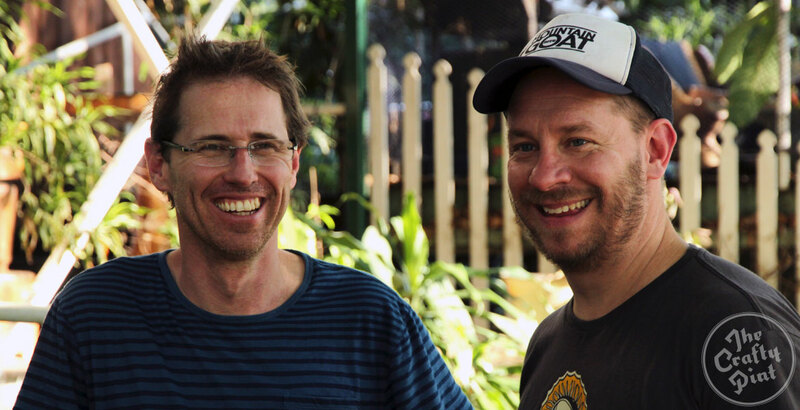 The pair formed the Australian Beer Co that brews and distributes Arvo, Alehouse and Yenda beers, the last of these in particular making its presence felt at craftier venues and festivals across the country. 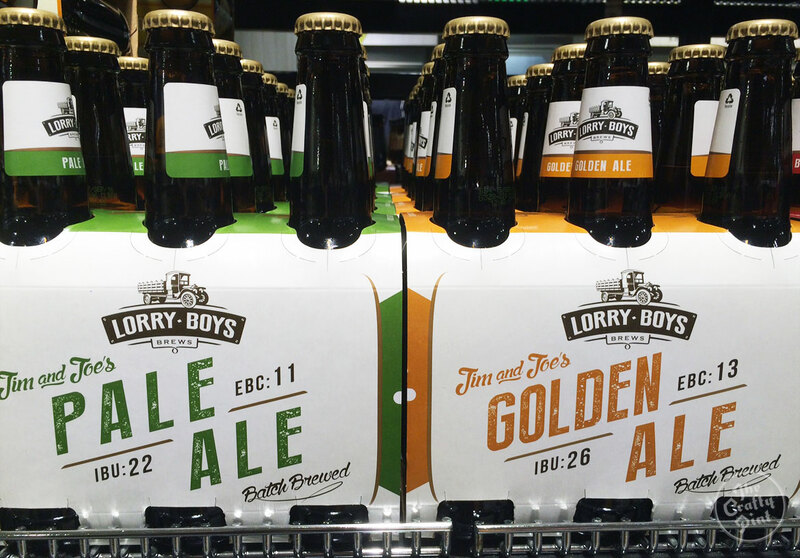 In an increasingly crowded and competitive marketplace, such brands sit among those from the 300 or so small, independent Australian brewers' beers, often looking similar yet typically retailing at significantly lower prices. At the same time, these businesses have the ability to reach much further into the retail space across Australia than their smaller peers. It's a situation that has raised many questions and sparked much debate. Can these beers be called "craft"? (Yes, according to the Craft Beer Industry Association.) Does the fact they are using the word "craft" strip it of whatever meaning it had before? Is it possible to have a definition for what is and what isn't allowed in the club? And, really, does it matter? Is flavour all or does ownership and independence matter? Is it unfair that such well resourced companies can come along after an industry has been built by others and reap the rewards? Conversely, would the craft beer industry in Australia be where it is without the achievements of big brewery owned brands like James Squire? Furthermore, why is, for example, Yenda's arrival 30 years after the Sail & Anchor opened any different to, say, Scott and Renae launching Wolf of the Willows or Dan, Eddie and Govs launching Black Hops, at least if we're talking Johnny Come Lately status? Maybe more than all of this, does it matter? To you? To the majority of beer drinkers? Should it? Even if labels stated everything that could be used to make an informed decision as to whether a particular beer met your personal ethical or moral standards, what percentage of drinkers would care? It's clear it's a fascinating subject and one that you could pull at for an age. So we are making it the first topic for what will be regular BIG ISSUE features on The Crafty Pint. These will be centred around the input of various people within different parts of the beer world in order that we can present a variety of viewpoints. The idea is to present you with as much information on a subject as possible; that way, you can make your own, informed decisions. Among the information we're providing on ownership is an Infographic (click "Who Owns Your Beer" image above or here to view full graphic) showing who's behind some of the smaller, crafty brands you'll find in stores. Tomorrow, we'll run the results of a blind tasting in which a panel of brewers, industry reps, writers and home brewers sampled a wide range of beers connected to large breweries and retailers against a handful of beers from small, independent breweries. Ben Kraus, co-founder of independent brewery Bridge Road Brewers in Beechworth. 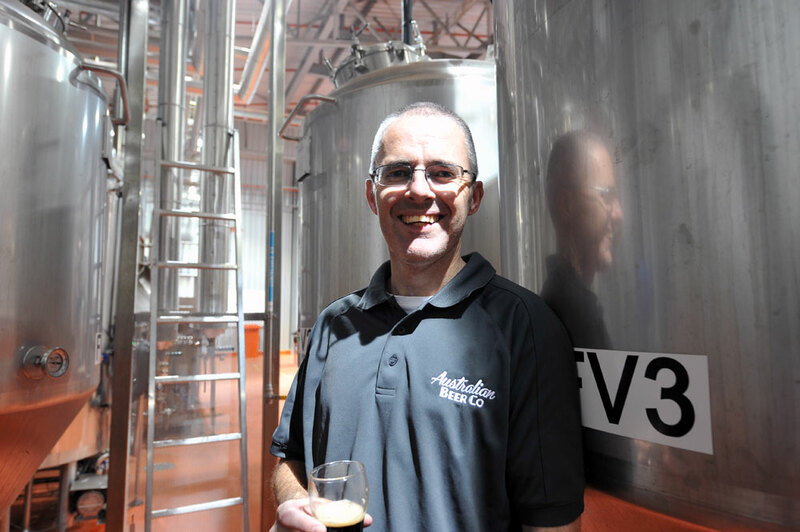 Derek O'Donnell, general manager of the Australian Beer Co, behind Arvo, Alehouse and Yenda beers. Dave Bonighton, co-founder of Mountain Goat. We invited him to answer these questions just before the brewery was sold to Asahi – exquisite timing! Josh and Elliot at Mane Liquor, an independent bottleshop in WA with one of the largest and most diverse beer selections you'll find anywhere. Luke Robertson, founder of the Ale of a Time blog and associated podcast and also the 2015 Crafty Pint AIBA Beer Media trophy winner. Dan Murphy's / Woolworths – we attempted to make contact with Dan Murphy's main craft buyer and also sent the questions through Woolworths' media team. We felt that as the country's biggest retailer of craft beer and a business with its own beer brands competing in the craft beer space they were important to the article. We were contacted by their PR company who, after initially telling us they would offer some comments, ultimately said that "on review" they would leave this one. Make of that what you will. 1. Does it matter [to you] who owns a brewing company selling beers in the "craft sector" or is the quality of what's in the bottle the only thing that matters? Ben Kraus (pictured right): If you are talking to me as either a consumer or producer I would have to say: "Hell yes", it does matter who I choose to give my hard earned to. I make choices every time I reach for my wallet in day to day life, and part of my choice is driven by who made this, where was it made, and what’s in it. I don’t ever enjoy being misled or even just uninformed of this information. Yep, I’m the guy that searches Tripadvisor and Google before I travel to find out where the best independent coffee house, eatery or brewery is located. I’ll read the back label in the supermarket, corner store or bottleshop. I’ll also look up a place in a new country if I suspect it’s a global chain I’ve never heard of while standing in front of it. Why? Because part of my decision is driven by quality, but perhaps a bigger part is having an idea of who’s getting my cash. I grew up in (and still live in) a regional town, I know what it takes to run a small business, and I appreciate the 24/7 effort it takes to do it. To me, and I assume to many drinkers "craft" should equal “independent, transparent, honest and authentic”. Derek O'Donnell: I believe the flavour in the bottle is definitely the biggest factor in enjoying a beer, which determines whether people choose that brand or style again. At the moment, only four percent of Australian beer drinkers are choosing craft so all of us can encourage the other 96 percent to explore the wonderful flavours and styles craft can offer, and giving them great tasting craft beers as alternative styles to standard lager at each and every drinking occasion. If your intent is to grow the craft beer category, which is to everyone’s benefit, then ownership becomes irrelevant. Dave Bonighton: I don’t think the quality of what’s in the bottle is everything, but it’s pretty bloody close. I won’t stop drinking a beer I like because it’s owned by a big brewer, life’s too short. As the ‘craft sector’ gets bigger and better, the term craft won’t be as important. It’ll be good beer, and the rest. Big, small, independent, contract, crafty – do any of those terms matter if the beer is a cracking one to drink? The beer’s the ultimate test, let us be categorised by that! 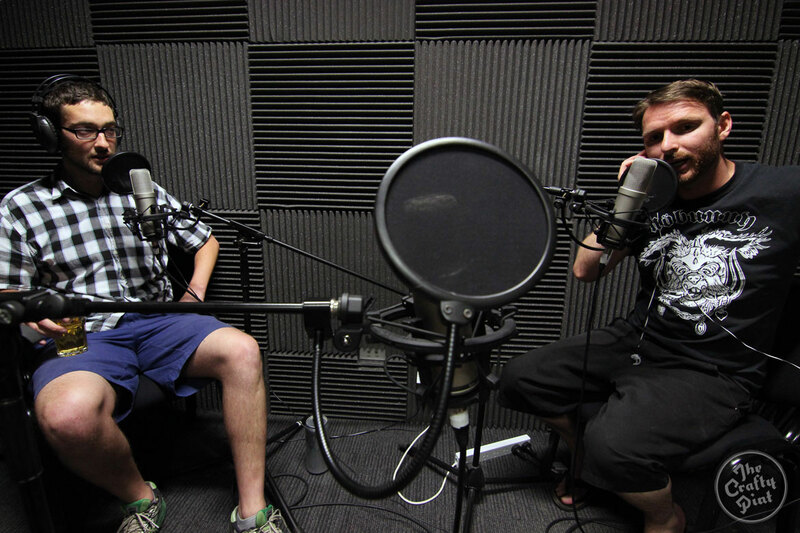 Josh & Elliot: We are very much about small business and helping out the little guys at Mane. It matters to us who is behind a product, but, in saying that, quality is also important. If a large company is brewing something good then we will definitely get behind it still. Luke Robertson: It absolutely matters to me. I think reducing a company's goals, ethos, structure, and branding purely to the liquid is unfair to everyone involved in getting it to you. It's important to me, where possible, to support breweries where their primary goal is to make great beer, rather than just make great profit off beer. 2. Should ultimate ownership of a brand be made absolutely clear on packaging, as per Lion's repackaging of its products, including Little Creatures and White Rabbit? BK: As above, a resounding yes. In my mind this is a strong and honourable move by Lion, and I hope that it strengthens their brand and customer loyalty as a result. Perhaps they are being pre-emptive, in which case [it] puts them miles ahead of their competition if labelling reform comes knocking. DO'D (pictured right): We believe consumers deserve transparent information and choice. More and more, consumers are telling us that the name of the brewer, where the brand is brewed and packaged, and the ingredients in it are much more important to them than who the owner is. The ‘Paddock to Pint’ chain is of huge value in building confidence with the consumer in what they consume and the authenticity of the story behind the beer and brand. DB: This has obviously got a lot closer to home for me, lately! I get the big brewery stigma, but it would be a shame if what was written on a label overrode what was contained inside. A big brewery can make good beer and a small brewery can make bad beer. When ownership is the first thing a potential new customer reads I don’t think it helps if the beer isn’t given a chance to be drunk because of big brewer prejudice. Having said that, truth in labelling is something we should be striving for. Labels that purposefully set out to deceive should be called out. J&E: I believe it should as it is being honest to the consumers. LR: I think so, yes. Hiding it shows you aren't honest with your product, and if they aren't honest you have to ask why they aren't? Do they not trust consumers like their business enough to support them? Surely if you've spent years building a massive company you'd want to be proud of it. 3. What are your thoughts on tags such as "faux craft", "crafty" or "craft-washing" as applied to brands from multinational breweries and supermarket chains? BK: I wouldn’t promote it personally, but if it’s consumers that come up with such labels then they have their own right to. It comes back to why they choose to buy something; if they feel what they have attached themselves to is being undermined they should shout it from the rooftops. DO'D: For the craft beer community, the future lies in attracting new consumers to share our love of beer. Rather than spend time creating barriers and tags that don’t add value to recruiting new consumers, and tainting the image of craft beer, we’re focused on what we can do to help drinkers explore new beer styles outside of the 96 percent of standard lager bought today. Can you imagine what we could achieve with re-focusing the collective energy of all craft brewers to a positive, exciting experience for consumers to explore the flavour smorgasbord of the many beer styles of the world! DB: Probably captured this in the first question, but for me it’s always about the liquid. If Coles makes a great beer I’ll drink it. I was in Portland, Oregon, earlier this year and visited 10 Barrel Brewing (recently acquired by AB InBev). The beers tasted great, and the vibe at the bar was huge. I won't stop drinking a beer I like because a large multinational owns it. J&E: I think the term craft is well and truly overused and it seems to be losing its original meaning these days. LR: I prefer just to call it all beer and let the quality, business and brand speak for itself. Most of them give themselves away with lazy branding and generic product anyway. 4. 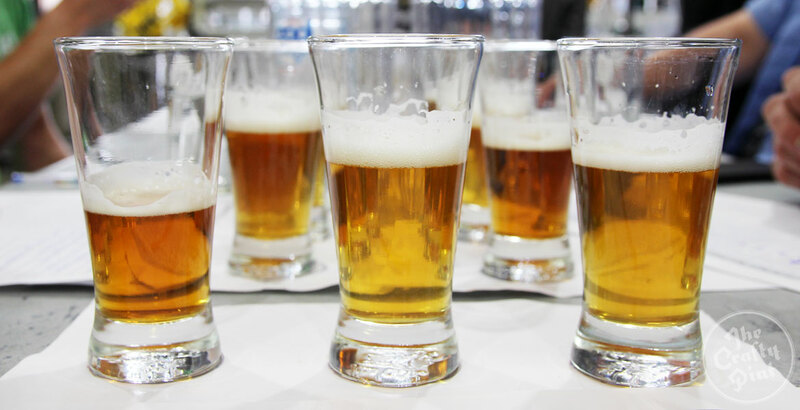 What advantages (or disadvantages) do you see for consumers in large companies, such as Coca Cola, Asahi, Coles and Woolworths, entering the Australian craft beer market? BK: Scale, budget and distribution are three quick advantages I can think of. Otherwise we (independent brewers) have all the other bases covered. [The] problem is those first three points are kinda important. DO'D: The reality is that the backing and involvement of these companies – Coca-Cola Amatil for its sales and distribution force, Asahi as a brewer and distribution force, and Coles and Woolies as the major retailers – means craft beers get into the hands of many more people than it would without them. For that reason, they play a very important role in breaking down the barriers, making craft beer more accessible to the majority of today’s beer consumers who drink just standard lager. Look at beer as a buffet table – if we can lay out a tempting choice of beer styles in front of them, they’re less likely to stick with their usual ‘meat and two veg’! DB (pictured on the right with Cam Hines): The obvious one is that more people will get to drink more craft beer. That’s big. The very reason Cam [Hines] and I started Mountain Goat was because it was so hard to find distinctive, flavourful beer. On a recent trip to Rottnest Island I got to drink Little Creatures Pale and IPA. Not sure that would have been the case five years ago. J&E: Advantages: increases the scope of people drinking craft beer as their products get into more places and on more shelves. Helps people make the transition into better beer as it is more in-your-face through advertising. Disadvantages: Taking money away from small business owners. Small guys have made craft beer what it is, and unfortunately the big companies come in to make a quick buck. LR: The ability to get fresh and interesting beer out through their supply chain to a massive audience. I'd love to see them leverage that advantage and make it a point of difference to the craft brewers who don't have such luxury. The fact that they don't really use that as a selling point speaks to their knowledge and passion for the category. Right now they seem to be content with just getting "a" product on the shelf rather than a fresh and interesting one. The disadvantages are that we are left where we started. The same few big brands taking up all the shelf space with the illusion of choice. The entry-level segment in Australian beer is growing at an extreme rate right now but every company and every brand in that space is more or less putting out the same beer. I'm often told that's a positive because it gets good beer out to more places, but if the end result is shelves full of nothing but low IBU pale and golden ales then it's a pretty boring one. 5. Do you see a conflict of interest in major retailers owning beer brands they sell through their stores? BK: Of course, but they own brands for every other product in their stores. I’d be more upset if I was a glad wrap or washing liquid producer. DO'D: The fact is that, whether it’s beer, cereal or baked beans, owned brands are a part of modern retail. Ultimately, if retailers can build brands that are attractive to consumers, they are perceived as offering choice. In today’s competitive world, brand owners have to focus on innovative, high quality beers that can compete for the beer drinker’s hard-earned dollar. DB: It’s part of the landscape of supermarkets in Australia these days. Not just in beer. It’s not my favourite part of the industry, but seems it's here to stay. J&E: Not if it is made clear to consumers what they are purchasing. LR: Not really. It's still capitalism at the end of the day. They've earned the right to sell what they want in their stores through being a company that's good at doing business. And that's the ultimate goal for supermarket brands – consumers going to their stores buying their product. Most consumers should know what they're in for when shopping at a major retailer. Photo above features Lorry Boys beers, which we discovered in a fridge at Vintage Cellars and stacked in piles at First Choice. (Batch) brewed by Macarthur Grange (Brewpack) for Liquorland. 6. It's common in major retail outlets at present to see cases of, for example, an Australian-brewed American Pale Ale retailing for $40 to $45 and another of the same style and ABV costing upwards of $75. What do you think of this aggressive pricing policy? Do you think it could cause consumers to question quality relative to price? BK: I’m often confused by moves by big outlets to discount the products that have a higher price point, and possibly margin. I’ll never understand why premium imported beers, such as Becks or Heineken, were discounted to compete with domestic Australian beers. It seems to me that the product is immediately un-premiumised. DO'D: We need to be careful not to confuse quality in production terms with quality in relation to flavour. 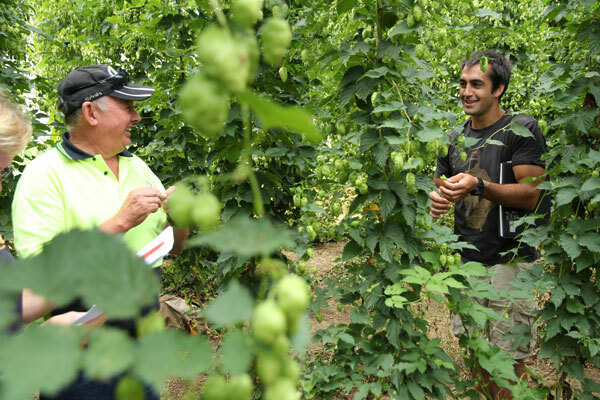 Actually the most consistent, "production quality" beers tend to be those produced by big brewers with amazing facilities – but that doesn’t mean they deliver the best flavours or range of styles. Paying $75 rather than $45 doesn’t necessarily get you a better brewed beer, it tends to get you a different beer style (often one brewed in small volumes and therefore with higher costs). The challenge for craft brewers is that asking consumers to pay a substantial premium over standard lager is simply not sustainable in the long term. As an industry, we have to find ways to make all different flavours and styles more affordable to consumers, and ensure consistently high quality to keep them coming back. If we do this we’ll grow craft beer for the benefit of everyone. DB: Price is one way to compete. It’s simple, maybe even a bit lazy. I don’t think it’s a sustainable model though, especially if you’re aiming at the beer nerds (and I consider myself one of those). J&E: The term "you get what you pay for" seems fairly accurate in the beer market. There is always going to be cheap beer available in the market. Good value beer is a personal choice and changes with everyone. In our experience, we haven't seen any great beer at that low price point. There are probably many reasons for this, one likely being that beer by the major brands are always pasteurised. LR (pictured on the right with Ale of a Time podcast co-host Dave Ellis): It's probably a bit of a dirty tactic and I'm sure they make a slim profit or sometimes use it as loss leader to get people away from smaller brands and hooked on theirs. It's dirty... but again, that's capitalism. Quality is an interesting one as it's tough to define. A larger percentage of beer drinkers would say the green/clear bottle lagers are better quality than craft brands... and in some cases they might be right. I think people for the most part are making all the decisions using their brand awareness, budget, what they want to drink and how adventurous they are. If they are dipping their toes into the "craft" segment then I reckon nine times out of 10 they'll go for the cheaper one. Which is a shame because often it's not too far removed from what they are drinking anyway. On the flipside, if you are a small brewer and people are paying more, then you better hope you can guarantee quality for that price because if you can't you'll lose that consumer. 7. And, finally, do you think beer drinkers care who is responsible for what’s in their bottle or glass? BK: See question 1 and my answer for question 2. Hell YES they do! DO'D: The facts speak for themselves here. In Australia, only four percent of beer drunk is craft. As much as we would like them to, the other 96 percent of the beer-drinking population who choose standard lager clearly don’t care who is responsible, because the vast majority of the volume comes from a small number of very big domestic and international brands/breweries. As craft brewers, our passion – and our opportunity – is to help them understand and care about the beer styles they don’t know exist or have forgotten about, after decades of dominance of a single beer style! If we can take them on a journey of exploration through the wide, exciting range of beer styles that craft offers, they’ll understand there is a fantastic world of beer styles out there beyond the realms of standard lager! DB: I think some consumers have some level of interest. But I also think (and hope for the future of good beer’s sake) that the vast majority care more about what it tastes like. This is an over-simplification, but look at it like a beer judge. They don’t get to see the label, and need to make an assessment on the beer alone. Imagine the state of a beer competition if it were the other way around, the judges only saw a detailed bio of the brewer, saw the label, but didn’t assess the beer. J&E: Beer drinkers most definitely care. Recently, Golden Road was bought out by a major beer company in the US and we saw loads of beer drinkers take to social media to express their disappointment. LR: Some do, some don't. Most probably don't, which is fine. I don't care who makes my socks, but I'm sure someone out there does and that person probably isn't too interested in who makes their beer. I think that's why local breweries are important though. It's easier to care if you can stop in and chat to the people making the beer... just like I'd stop in and chat to my local sockman once a week. Thanks to all respondents for taking the time to contribute to the article.